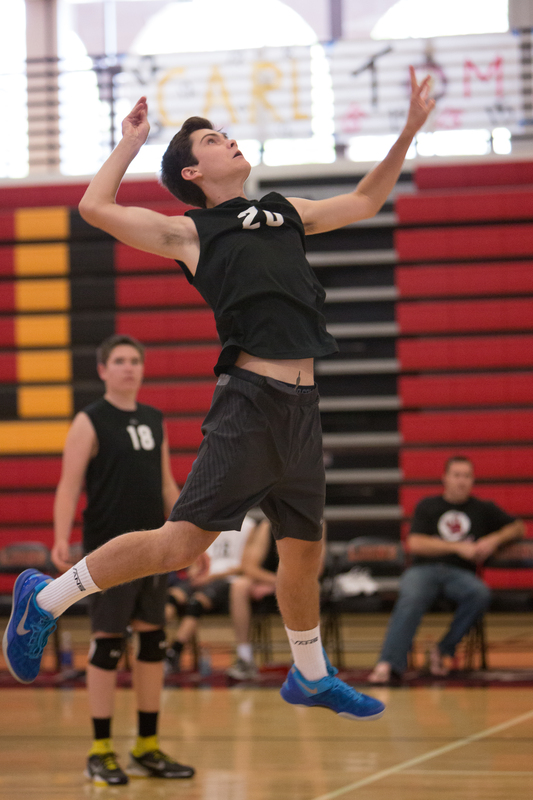 The first two sets between the JSerra and Santa Margarita boys volleyball teams April 9 match were neck and neck, the first set ending 25-20 and the second at 25-22, both in JSerra’s favor. The third and final set is when JSerra (8-6, 2-2 league) kicked things into over-drive and won 25-15, pulling out the three-set win win in their first match against Santa Margarita (6-10, 0-4) in league play. The win pulled the Lions to .500 in Trinity League play. “There is nothing I would change about the team, they’re playing volleyball at an extremely high level right now,” JSerra head coach Tim Layton said of his team, which has bounced back from losing their first two league games against Mater Dei and St. John Bosco, respectively, with a win over Servite on March 26 and the Eagles.